Free Time | whatever that is! New job, new lunch crew. 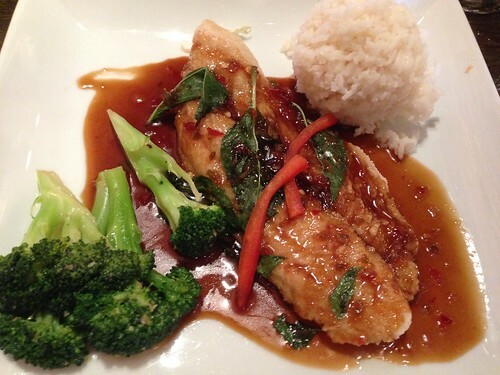 We had our first group outing last week to try a recent entry into the Thai arena, Songkran Thai. I wish I understood what’s happening in Songkran’s neighborhood, Uptown Park. On the one hand it offers high-brow venues catering to the wealthy Central American residents who buy up all the glossy, multi-million dollar condos. On the other hand it definitely tries to appeal to those who want sit-down fast food. Maybe the combination works. 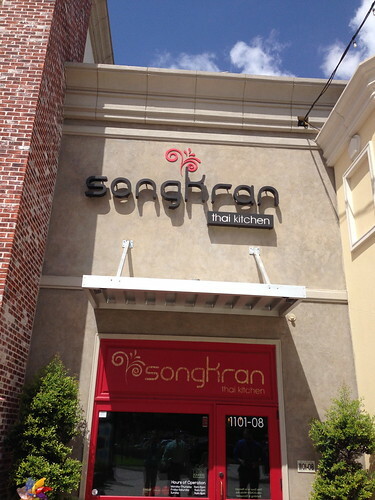 Songkran Thai is in the newer section of Uptown Park. Its a small space inside and they do have limited outdoor seating, not that you’ll remotely consider that an option in Houston during the summer. 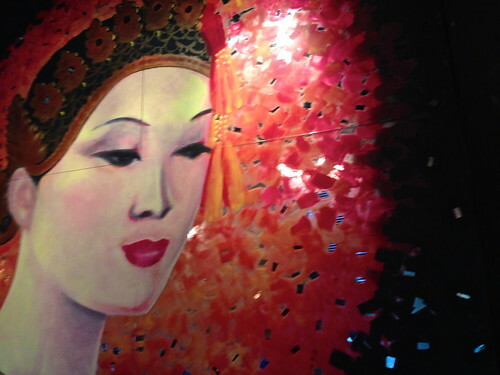 Exposed brick, brightly colored Buddha art, modern music at conversation-level volume, polished but casual. For lunch they seemed to attract entry-level professionals in skinny suits and shiny, pointy shoes. We’ll be returning for a Restaurant Weeks dinner this weekend but this time was lunch which was mostly good. 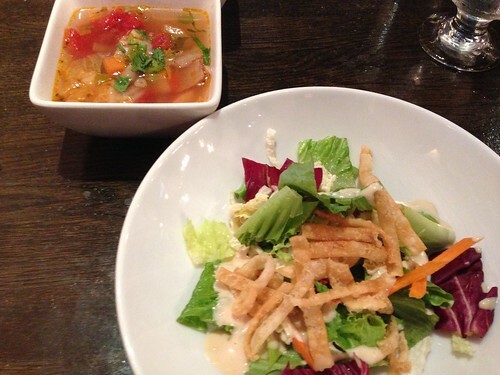 Lunch offerings are ‘plates’; entree, salad and soup. The soup was hot but unfortunately it lacked any flavour and we all moved it aside rapidly. Salad was good but not notable; most of the enjoyment came from the creamy sesame-ginger dressing. Removing the dressing you’d have some torn lettuce, carrots shreds and a few fried wonton strips. My main event was excellent; fish in tamarind sauce. Lightly floured and pan-fried but I couldn’t tell you what kind of fish was used, it was about the sauce – basil, ginger, tamarind, fish sauce and garlic was strong but enjoyable. Broccoli and rice were along for the ride, apparently more for visual appeal and texture. We arrived at the very start of lunch, 1130, and it was clear they were in the middle of setting up for a lunch crowd coming much later. 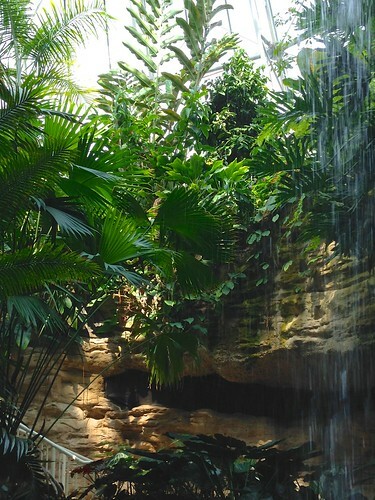 Given that, the service was pleasant and efficient but often distracted. Orders for our table of 8 arrived in 20 minutes. Acceptable for the Uptown Park area but a little higher than normal for Thai food. Lunch plates ranged from $10-15. 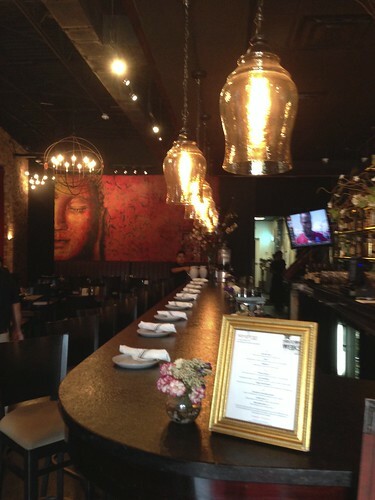 While we liked Songkran and I’ll be returning this weekend to try it again for dinner, it does not dethrone Thai Gourmet as best Thai in Houston. 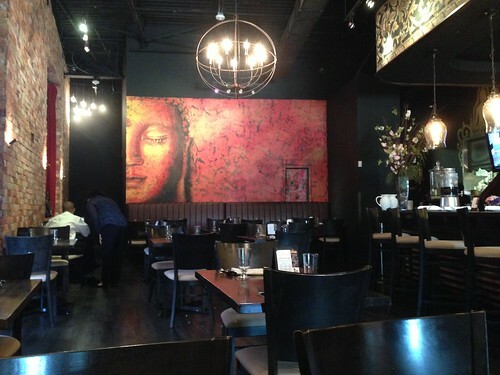 This entry was posted in Food, Houston, Restaurant, Texas, Thai and tagged Songkran Thai on August 11, 2016 by freetimeinhouston. Apparently my posting will be more intermittent than expected. Now that Houston is full on summer with ‘feels like’ temperatures routinely flirting with 110 degrees, it was time to make something cool. Scratch that, cold — really icy. Browsing a food rag while queued up at the airport I ran across a popsicle recipe and I thought, yes. 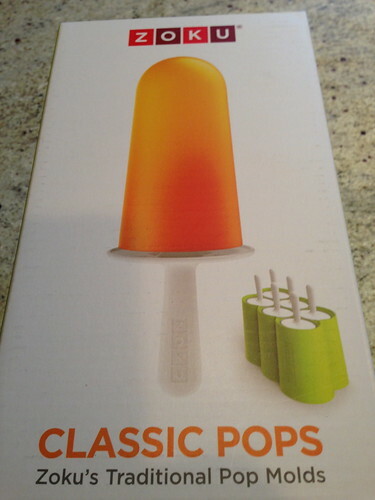 I haven’t had a popsicle since my single digits years but it sounded an excellent idea and with the ability to strike down all the sugar, a reality. This is definitely a grown up taste, not sure if the kiddos would like the combination of flavours. I liked the cooling power of mint with the biting acidity of lime. 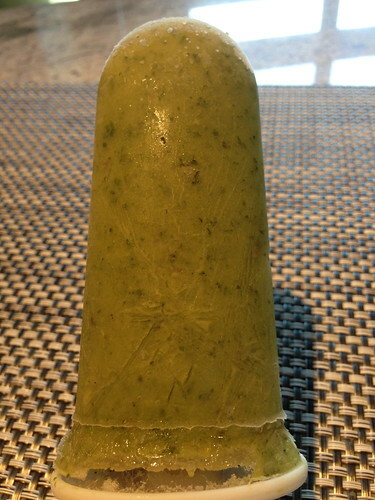 Avocado, a seemingly odd ingredient in a popsicle, adds a outstanding creaminess. Of course a plain ol’ ice cube would be refreshing in 110 degree heat, but why settle for that? 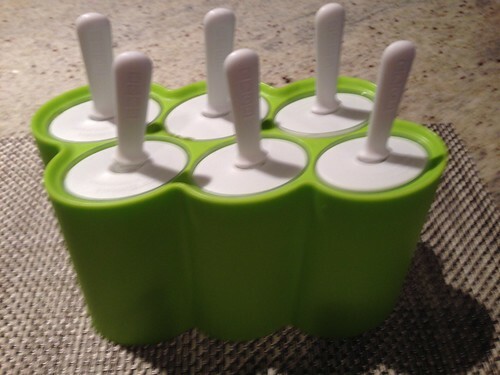 Blend all ingredients in a blender or food processor until smooth then spoon the mixture into popsicle molds. Four hours later remove one take it outside and hold it up defiantly against mother nature. 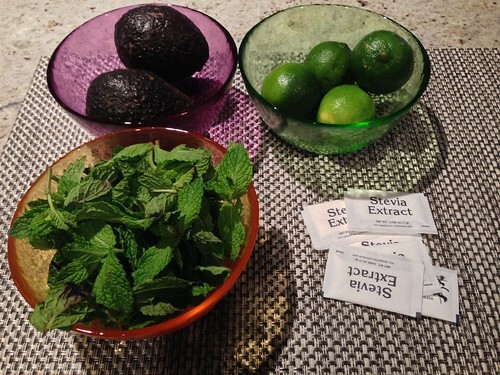 This entry was posted in Dessert, Food and tagged Avocado, Lime, Mint, Popsicle on July 31, 2016 by freetimeinhouston. New job has me traveling. And, oh no, I exceeded the WordPress limit on photos! $100 a year for a “premium” plan? I don’t think so. Good thing there is Flickr and now I’ve figured out to make them work together – mostly. With younger niece coming to visit this summer, I’ve been on the lookout for things a teenage girl might want to do. She’s very active in music so we have some music-based events, like her first time to see Wicked. She’s also into vegetarian cooking and making desserts, so we’ll be off for tour of Houston’s largest farmers market followed by a chef-led cook-then-eat with whatever we buy at the market. 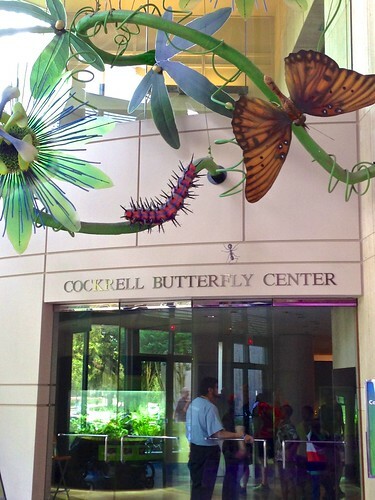 Whilst walking about Hermann park during Japan Festival I made note of this place, the Cockrell Butterfly Center. 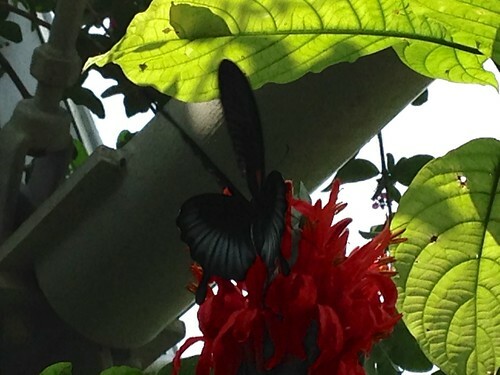 Its attached to the Houston Museum of Natural Science, which I’ve been to loads of times, but the Butterfly Center just never appealed. Until now. I did a recon visit and I’m glad about that. 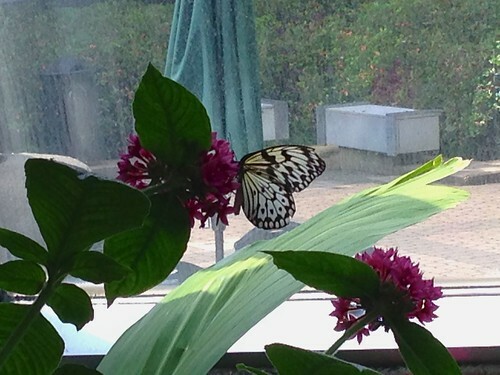 Upper floors are more of museum and introduction to butterfly biology; interesting exhibits which probably appeal to the teen and younger crowd. 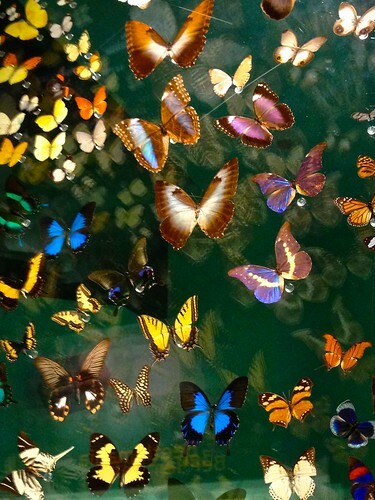 At the end of the “museum” you exit into the butterfly habitat which is loosely a 3-story glass terrarium filled with hundreds of butterflies. 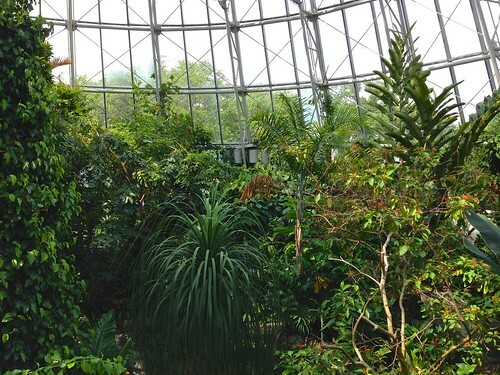 Surreal and otherworldly, definitely you feel as though you’ve left the greater Houston area for some serene storybook setting. 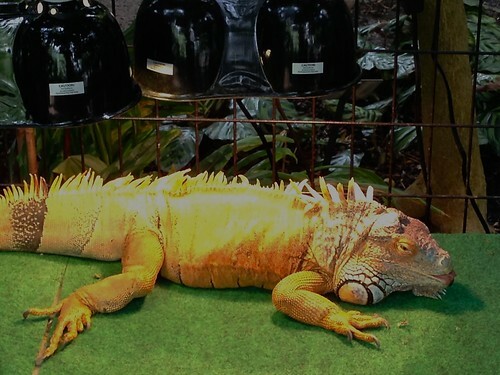 The giant orange lizard baking under a heat lamp seemed a big lumpy contrast to the other inhabitants. Check yourself on exiting for stowaways looking to break out. 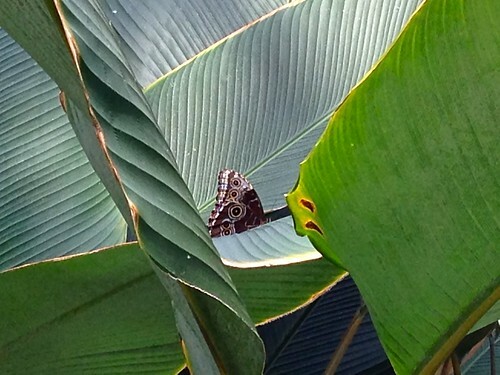 This entry was posted in Houston, Museum, Texas and tagged Cockrel Butterfly Center on June 19, 2016 by freetimeinhouston. Good grief, the job switch was more time consuming than expected. Paperwork sure, but then there are all the going away lunches, dinners and endless questions. All this within the same organization. Anyway, back to the Currywurst. Now that we have the Curry Ketchup and “bread”, all that’s left to do is prepare those sausages. Having never purchased Bratwursts before I was surprised how many varieties there were. I picked up the veal and pork versions to sample the difference. The question of which beer was easy for me since I only had two at home. Abita Brewery’s “Andygator” which is loosely a Pilsner and Clown Shoes’ “Rexx”, which is a Red Ale aged in Bourbon Barrels. I’m not sure either really adds too much taste to the mix considering the liquid smoke and red pepper flakes. In a large, deep straight-sided pan add brats, beer, liquid smoke, peppercorns, red pepper flakes, onion and bell peppers. Bring to a boil then lower the heat to low. Simmer for 15-20 minutes making sure the brats stay submerged in the liquid. Remove brats, drain them a little, then either grill or pan-fry for 15 minutes. 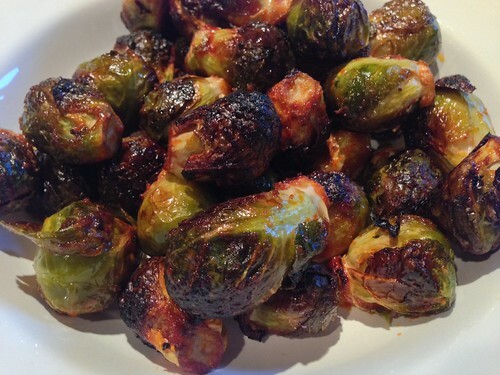 Remove to a plate, cover with aluminum foil and let rest for 10 minutes. Add vinegar and sugar to beer mixture, stir, let simmer for another 15 minutes. Use a slotted spoon to remove the pepper and onions, picking out any peppercorn stowaways. 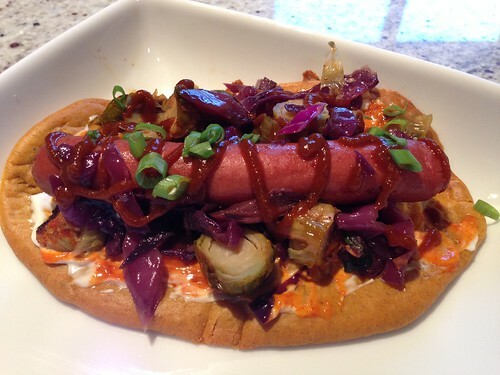 To assemble just plop a brat onto the bread then top with a little of the pepper-onion combo and some curry ketchup. The flavours here are really good – sweet and spicy with a vinegary bite and salty overtones from the brats. The curried cauliflower bread was awkward to handle once the juices from the brats and veggies started to saturate but a knife and fork cured that problem. This entry was posted in Food, German and tagged Currywurst on May 23, 2016 by freetimeinhouston. Between the Curry Ketchup and the rest of the Currywurst posts, I switched jobs. So there’s that. Currywurst is usually served in a hotdog bun or something similar. Since I’m off the gluten, I was looking for a substitute. I remembered a few months ago I made a pizza crust out of cauliflower and thought it might make a good makeshift wrap, maybe with Indian spices rather than Italian. Turns out, it was good call. 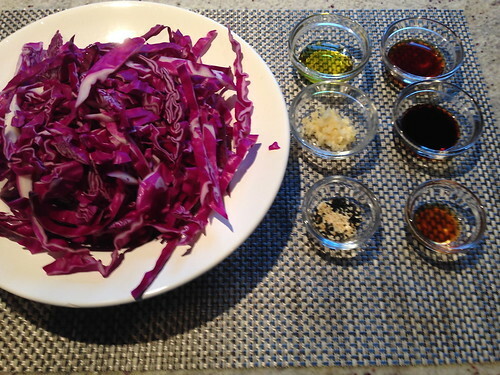 First, place the grated cauliflower in a large glass bowl and microwave on high for 4 minutes. 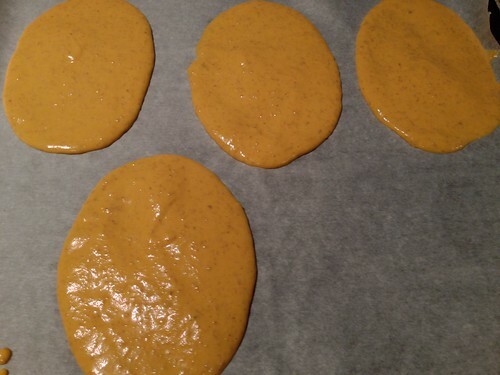 Remove, cool, then place the lot atop cheesecloth and squeeze out as much liquid as possible. Typically when I do this I get about 1/3 to 1/2 cup of liquid. 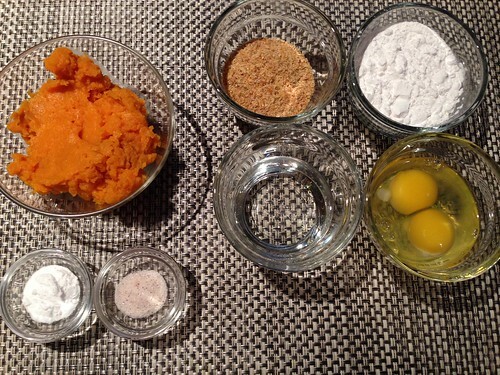 In a large bowl, mix all ingredients by hand. 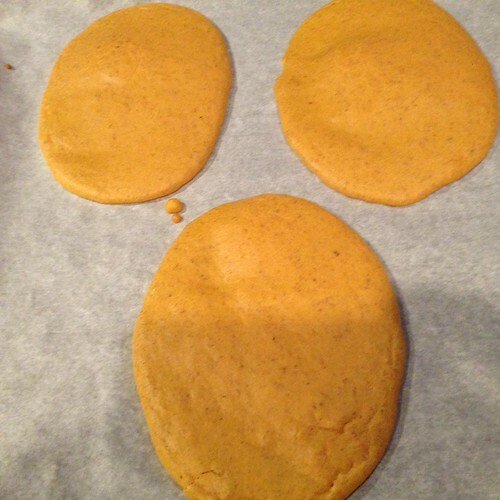 Spread onto parchment paper and form into whatever shape you want. 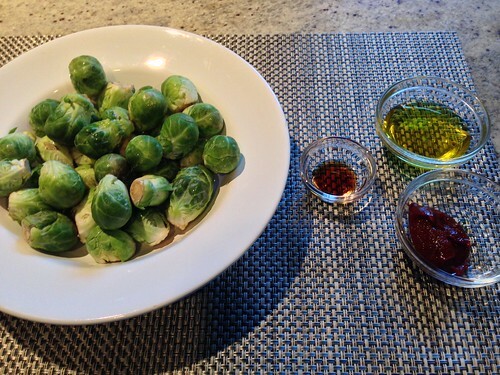 Place the lot on a baking pan and bake at 400 degrees for 20 minutes or until desired crispiness. I’ve also popped this under the broiler to finish it off when I wanted a more roasted flavour. Surprisingly this will hold together well as a makeshift crust or wrap. If you have a cow’s milk sensitivity, like me, you can sub out the parmesan for some hard cheese made from goat or sheep’s milk. For this rendition I used a “aged goat Jack”, which turned out well. That’s it, now we’re ready for the actual Currrywurst to top off the wrap. I’ll get to that post tomorrow, unless I decide to switch jobs again. 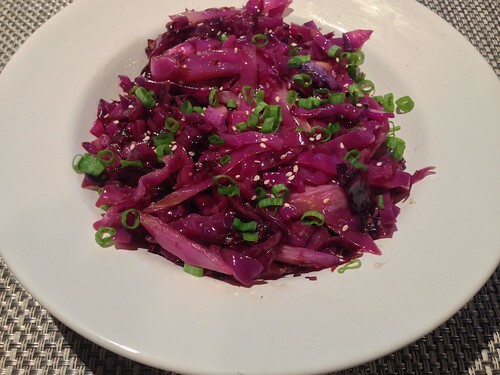 This entry was posted in Food, Vegetarian and tagged Curried Cauliflower Bread on May 11, 2016 by freetimeinhouston. Whilst doing research for Germany Trip I ran across a curious dish, Currywurst. Texas has a huge German influence so I was familiar with Bratwurst but I had never heard of combining them with Indian flavours, so off I went to experiment. Brats are something I eat only at German festivals, so it was my first time to purchase them. I was surprised to discover they can be made from veal, pork or beef; I picked up the veal and pork to taste the difference. The first step to Currywurst is to make the curry “ketchup”. Yeah, I know you can buy this at specialty stores, however I wanted to change the sugar and spice components. In a large pan, heat oil to medium high then sautee the onion until browned. Add garlic and sautee until fragrant. Remove from heat. Heat a medium-sized crock pot (at least 2QT) to high, add the remaining ingredients and stir. Add onion and garlic mixture, stir. Cover and cook on high for 3 hours, uncovering and stirring occasionally. Uncover, reduce heat to low and cook for another hour to thicken. Turn the pot off and let cool. 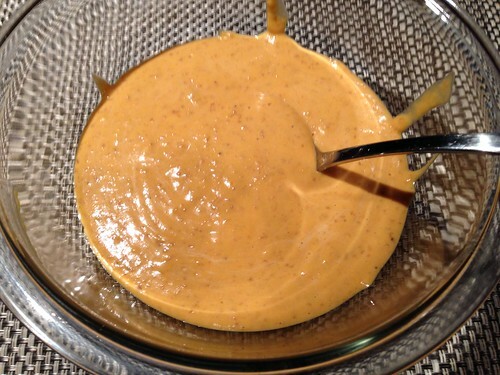 Transfer the cooled mixture to a food processor and pulse for a minute to smooth the texture. Refrigerate in an air-tight container. You could cook this stove top and reduce the cooking time by a few hours. I like the crock pot version since it lets me get on with other things for a few hours without having to babysit an open flame. Next, the curried cauliflower “bread” and bratwurst preparation to complete the Currywurst. This entry was posted in Food, German and tagged Curry Ketchup on May 4, 2016 by freetimeinhouston.